About a year ago we hired Mold Solutions Group to remedy several issues in our crawl space: excessive humidity, mold, some insulation issues, and a very unpleasant odor during summer that infiltrated our living area. Having interviewed three reputable firms, we settled on MSG due to the thoroughness of their initial inspection, their convincing explanation of the problems and proposed solutions, and a price that was competitive. I have waited to comment on the quality of the job Mold Solutions did so that I could evaluate the effectiveness of their work after several months’ experience. Here is what MSG did to handle the problems. They replaced the existing vapor barrier, which they identified as the source of the odor, and ran the new barrier several inches up the exterior walls and the support columns. They also remediated mold growth on the wood surfaces, replaced 225’ of fiberglass insulation, sealed the outside vents into the space as well as any entry points from the crawl space into the living area, and installed a centrally-located commercial dehumidifier. The results have been outstanding. Through last summer, this past rainy spring, and the heat and humidity of the current summer, the crawl space has remained dry, well-dehumidified, and (thankfully!) free of odor or signs of mold growth. Rich Lisowsky’s crew was great to work with and gave us good service. Upon request, a supervisor made a follow-up visit several months after installation to confirm that the modifications and installations were performing as they ought to be. After a thorough examination of the space, with us there to observe his evaluation, he confirmed that the old problems were well under control, and we heartily agreed with the assessment. Obviously, we have been very impressed with the results of our experience with Mold Solutions Group. They do high quality work, and we have enjoyed interacting with owner Rich Lisowsky and his staff. Rich’s methods have provided a solution to our mold and humidity issues, and we are delighted to give MSG our strong endorsement and recommend the company to others! Rich provided immediate service! He guided me to an article on his website related to my problem, described the simple process for cleaning it, and BooM! All set. Very helpful and professional, and no cost to me for this little consultation. I spoke with Rich about a mold smell on an exterior wall. He was kind enough to give me some helpful and efficient advice over the phone as to how to make a determination on the mold. I followed his steps, found mold, emailed him photos in the evening and he promptly got back to me that evening and again first thing the following morning. He knew exactly what the problem was and talked me through remediating it on my own with a list of materials I’d need and what to expect. He further made himself available should I encounter any hiccups in the process. I couldn’t believe how readily and generously he shared his extensive knowledge and expertise. Our problem has been fixed and I would certainly choose him to combat any such problem in the future – large or small. I discovered three small areas of fungal growth under a vapor barrier and located The Mold Solutions Group on Angie’s List. After reading the reviews, I contacted Rich Lisowsky to discuss the issue. Rich listened carefully to my concerns and, as was mentioned on previous reviews, suggested that I send him several photos of the area in question. Shortly thereafter, he called back and suggested a homeowner solution (including specific details). Rich also indicated that his company would be happy to take care of the problem if I preferred that……..which we did. I advised Rich via a text of the times that would be convenient and we agreed on a specific time. On the service day, he texted me his employee’s name (Brian), and phone number, and indicated that Brian would be in touch. Later that morning, Brian advised me (via text) of the general time that he’d be available and then sent me a “heads up” text when he was on the way. Upon arrival, Brian was polite and professional and immediately took our issue–removed fungal growth. He was extremely thorough and careful in completing his work and after he had finished, you could not tell that we had ever had a problem. Moreover, the pricing was very fair. I could not speak more highly of our experience with this company. One morning I noticed a black spot that had appeared on the ceiling in our kitchen and took a quick picture of it. 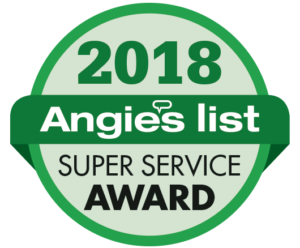 After being told it might be mold, I did a search on Angie’s List and noticed the long list of positive reviews for The Mold Solutions Group. I went to their website and noticed that they had a “virtual mold consulting” that allowed me to email the picture I took with an explanation of what was going on, and they would have someone call me to talk about it and discuss what steps I would need to take. Sure enough, a few hours later Rich called me and explained to me that he did not think the spot was mold for several reasons, and made a few suggestions to clean up the spot as a way to finding out what it might be and whether or not the spot returns. Their virtual mold consulting is a great resource to use and would recommend anyone who has questions about potential mold in their house to use it. Rich came across as extremely trustworthy, and I am very glad I took advantage of his service. I also know that if any future problems develop that I will not hesitate to reach out to Rich and his team again. I saw on the Mold Solutions Group’s website that it offered a free “Virtual Mold Consulting” service. I took a few pics of a small mold situation above a door frame in our house, emailed them to Rich. Not 30 minutes later, he called me, asked me a few questions, explained what the problem likely was, and then walked me through how I could take care of it myself. It’s so rare to find someone so prompt and so helpful, much less someone who does it for free. The team was early, very thorough, friendly and effective. Nice work!! Rich Lisowsky was terrific. I texted him some pictures and we had a plan within minutes. Mold Solutions Group is the BEST! We had a massive shower leak, which rotted our subfloor, floor joists, sill plate and outside wall, along with producing black mold throughout the crawl space. MSG was the ONLY company we called where the consultant, Jeff, actually crawled under the house and took numerous pictures! At our request, they promptly developed a plan, in conjunction with their sub-contractors, and e-mailed us a line-item proposal for demolishing the bathroom, remediating the mold issue throughout the crawlspace, installing a dehumidifier, sealing the crawlspace, and reconstructing the bathroom back to new. We sat down with Jeff, Rich, and Brian discussing each item to our satisfaction before accepting their bid. (We have previously remodeled 2 homes so we are familiar all that is involved along with appropriate pricing. But we are older now and did not want to undertake this project on our own.) MSG was thorough in the details of the process, and honest and reasonable in their estimates. We knew from the start we were working with professionals who put the customers’ needs first. Rich was always accessible to us and diligent about keeping us informed about the scheduling of contractors. He checked with us regularly to make sure we were happy with the work. MSG and their sub-contractors were respectful of our questions, opinions, and minor changes to the initial plans along the way. They were very prompt, highly skilled, and maintained a clean work area at our house. Not once did we have to deal with late or no-show issues, which is a huge deal to us! The end result is that Mold Solutions Group turned what was a homeowner’s nightmare into a less stressful, more bearable experience. Knowing they were on the project was such a relief during the entire project. Their professionalism, customer service, and attention to detail are top of the line and we highly recommend their services! The people I dealt with-from the owner Rich Lisowsky, his “right-hand man” Jeff Umbarger, to all the crew who came out day after discovery of damage to home-couldn’t have been more professional, understanding, informative, etc. They were FABULOUS, especially Rich and Jeff. Rich was most kind and patient with re. explaining whole process: what his crew was going to do to remediate issues; and what I needed to do after they were done drying out and cleaning up: filing claim with insurance co., getting appraisals for restoration, etc. And, one of the MOST important things in dealing with anyone, is RESPONSIVENESS. When you call and/or e-mail you almost always get a response within a short while of doing so from either Rich or Jeff. Many times when I called Rich-who gave me a cell phone# as well as office one-he immediately called me back. He is the owner/operator of this business but he is the one who always reached out, no intermediaries, no go-betweens, et. al. I think this is incredible, almost unheard of in the service industry. I also think they are very good with pricing. Most of the work will be paid for by insurance but I had them do a few things unrelated to the water damage and thought the charges were very fair.